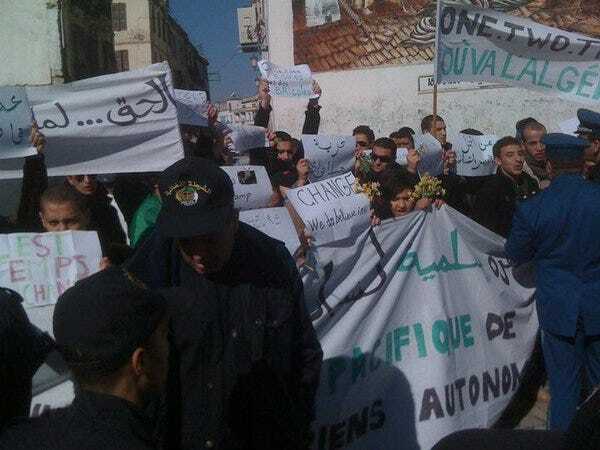 Today thousands of riot police were stationed in Algiers to prevent any action by newly inspired protesters.The riot police arrested the first 50 people to arrive at Kennedy square, according to Reuters. However, the protesters kept coming. Now thousands of protesters have reached the square, protest organisers tell the AP. They are chanting “Bouteflika out!” — a reference to their president since 1999. Riots occurred just weeks ago in Algeria over food prices.